It's been a week of homecomings on the NXT house show loop. 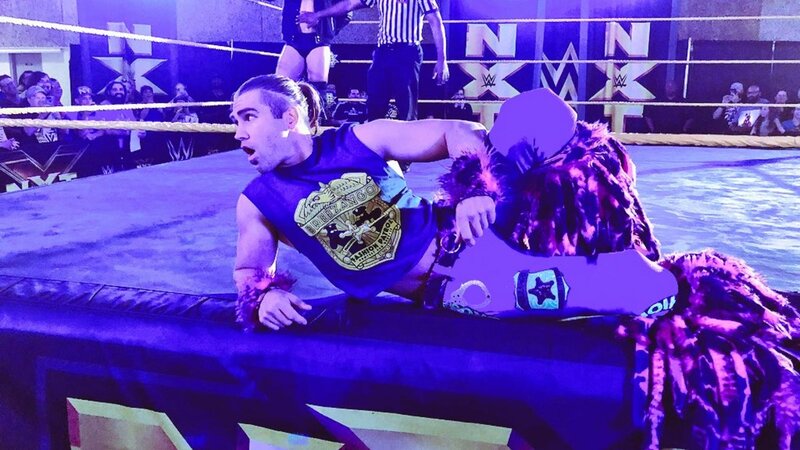 Following The Revival's appearance on the road tour, Tyler Breeze was in action for NXT in Jacksonville, Florida last night. He was revealed as the surprise opponent for Marcel Barthel in the main event after Barthel issued an open challenge earlier in the show. Breeze defeated Barthel and did a post-match speech where he thanked the fans and talked about NXT being part of the start of his WWE career. Breeze was called up from NXT in October 2015 and hadn't wrestled for the brand since appearing at three house shows the following year. Along with Fandango, he joined the Raw roster in last month's Superstar Shakeup. They were on WWE's European tour for this week's television and a few house shows, losing a match to The B-Team (Curtis Axel & Bo Dallas) on Raw. The Revival also wrestled for NXT last night. They defeated The Forgotten Sons (Wesley Blake & Steve Cutler) in Dallas, Texas and later made the save for The Street Profits following Montez Ford & Angelo Dawkins' match against Kyle O'Reilly & Roderick Strong. - Barthel issued the open challenge that would later be answered by Breeze.